Remember the story of Aladdin? The middle-eastern fairy tale was turned into a Disney classic, and told the tale of Aladdin meeting his genie friend and receiving some very lucky wishes. What would you do if you came across a genie in a lamp that granted you three wishes? Now you get a chance to check out the new UK slots at Slots Baby and find out as 3 Genie Wishes gives you a chance to see if your luck holds out when you spin the reels. Have a look at other play new slots on SlotsBaby! And don't forget to make sure you're getting the best out of our casino promotions before you play the game! 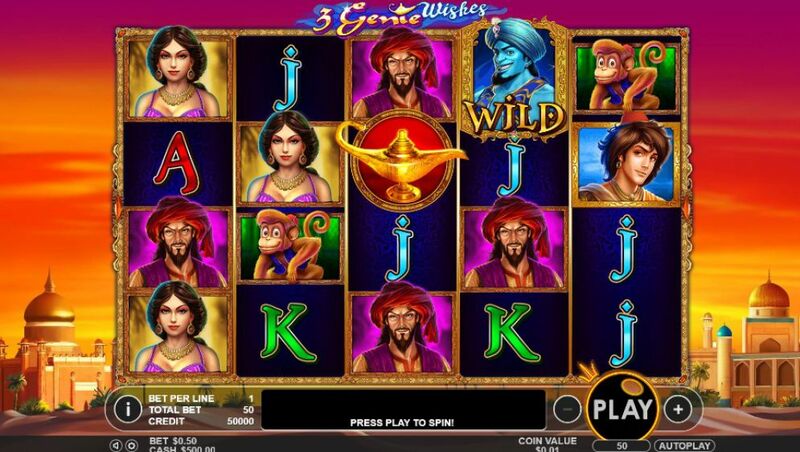 The developers at Pragmatic Play certainly do put their all into every one of their casino slot games, and this is absolutely the case with 3 Genie Wishes. They’ve taken an old classic tale as old as time and have added their own stamp onto it with some gleaming graphics and fantastic bonus features. You may think that you know this Arabian story already, but how well do you know the Pragmatic Play version? Pragmatic Play set the game’s theme very well with the game board’s background. It looks out across an Arabian town and across a glowing sky at sunset. You can’t see too much of this though as the actual game board and reels take up most of the room on the screen. All of the lower-value letters are represented by letters of the alphabet, but it’s the picture symbols you need to focus on as these represent the higher values. You will notice some of the familiar characters from the Disney movie, including Aladdin, Jasmine and their monkey friend. This UK Slot features five reels and fifty pay lines, so there are plenty of chances to take home the very impressive jackpot. If you are able to unlock one of the bonus features, then you will find that winning comes a lot easier. 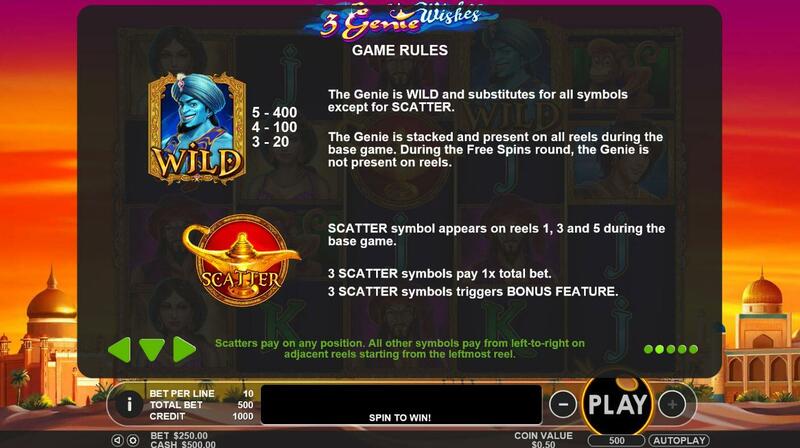 WILD SYMBOL – The genie is the Wild symbol and can help you add to your jackpot. He can increase pay outs and will replace any symbol except the scatter. When he lands, he’ll be stacked, and can also land on multiple reels. SCATTER SYMBOL – This slot game’s Scatter is the genie’s very own lamp. Not only does this also increase your pay outs, but it can also activate the bonus rounds, which include one-off awards and free spins. The free spins could come with sticky or raining wilds. Unlike in most games, though, you can’t retrigger free spins while you are on a free go.